There should be stairs & coloumns for luminous plaster, not just plaster. But it’s meant for Pixel Art! Here’s a path that I made trying to look colorful and neon at night. The only way to make the regular plaster stairs light up is by putting a different light source. Craft luminous plaster stairs in the level 2 builder’s bench, the second to last slot. Craft luminous plaster coloumns in the level 2 builder’s bench, the last slot. According to the amount of likes right now, this suggestion clearly needs to be added to the game ASAP. I believe the photo is from Unihorse. 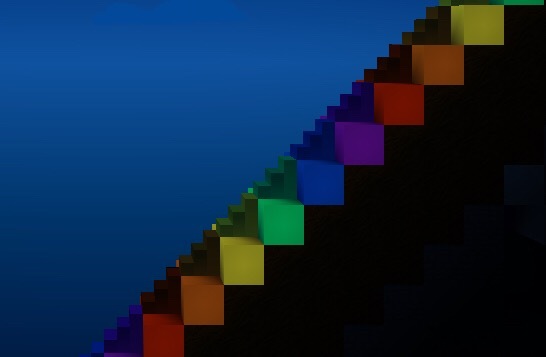 The things is: they added the gem stairs with the new gem blocks, and they added the luminous plaster. But they FORGOT luminous plaster stairs! Third thought: We aready have gem blocks. What blocks can’t we have? Such things are very simple to craft, but I don’t see any use in them–I don’t need them. Oh wow. I didn’t realise that. So only normal plaster can be made into something. Sounds like a good idea. I would paint illuminous plaster stair! Yeah! This needs to be added in 1.8. It’s probably not going to be updated except for bug fixes. Nothing is set in stone.